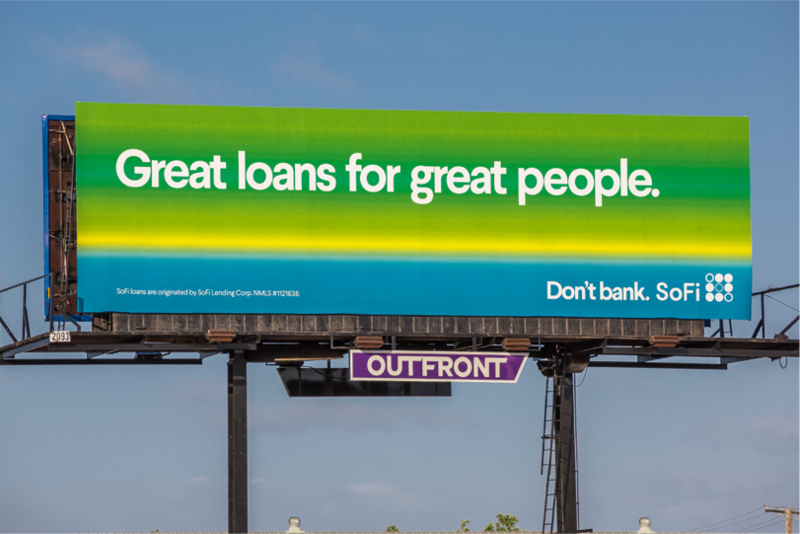 For the innovative online lender SoFi, we have been busy creating work across virtually all media: TV, OOH, radio, social, and digital. Rather than using backward-looking scores like FICO, SoFi instead offers loans and increasingly more financial products to people who show promising futures. For these customers, they come alongside them through thick and thin, even offering career counseling. Watch for more work throughout March Madness that focuses on some of their diverse, ambitious members.